The call into the pastoral office is one that comes with a prescribed set of responsibilities — serving a congregation in Word and Sacrament ministry and overseeing the needs of Christians in their care. 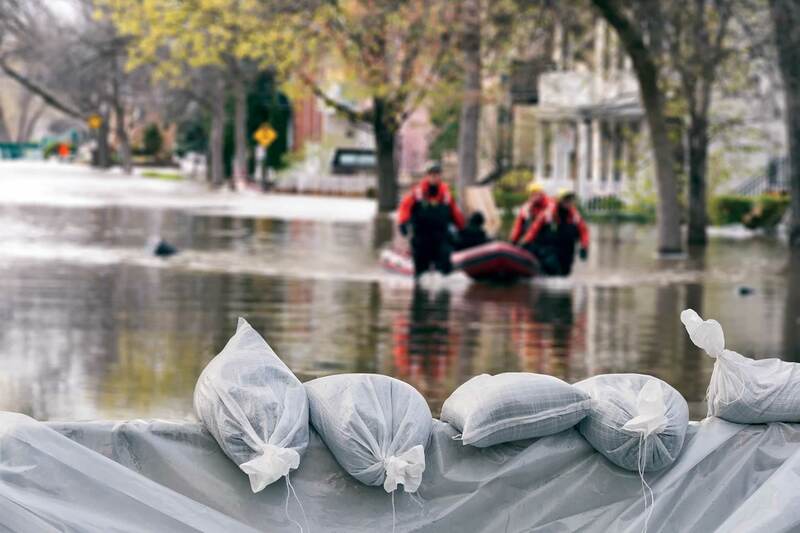 These duties are amplified in times of trauma — such as in a man-made or weather-related crisis. Such times require a pastor to step forward as a spiritual leader and humanitarian to serve both his congregation and the affected community. Rev. Rob Bailey (’17) has only been a pastor for about a year. But what a year it’s been. When he was first called to Gloria Dei Lutheran Church in Houston, Texas, the plan was for him to lead a church-planting effort in nearby League City. And while he remains faithful to that effort, two uniquely different mass tragedies have struck the community he serves — Hurricane Harvey in fall 2017 and the shooting at Santa Fe High School in May 2018. Bailey jumped into action to minister during both crises. “I’m ready for service,” Bailey told his Senior Pastor Dan Schepmann on the phone the day after Hurricane Harvey wreaked havoc in Texas. “Look out your window,” his senior pastor responded. Bailey did so. The entire parking lot was flooded and he was trapped in his apartment until the water receded. It was an admittedly slow start to what Bailey describes as months of relief efforts and humanitarian care. Gloria Dei partnered with several organizations within the Houston community to help citizens in need. One such group was Fuller Center Disaster Relief, a group assisting with emergency home repair and restoration. Bailey was able to venture out and go door-to-door in a subdivision where 99 percent of the homes were flooded. Relief efforts went on for months, and Bailey said full restoration is far from over. He is now often called to bless new homes that have been rehabilitated. Looking back, what stands out to him the most is how willing people were to help total strangers. Months later, the Texas community was affected by the school shooting in Santa Fe that left 10 people dead. League City is about 20 minutes from Santa Fe. Bailey was asked by Clear Lake Regional Hospital to come and sit with family and fellow classmates of those injured in the shooting while they waited outside the emergency room. At one point he ministered to a couple who later discovered their child had died. “My job was to be a presence in their time of tragedy, reminding them that Jesus doesn’t abandon or forsake us,” Bailey said. As a recent graduate, Bailey said lessons he learned at Concordia Seminary provided clarity as he served those who had suffered great loss. For Bailey, the last year has been a trying one and a rewarding one as well. “It’s been a privilege to serve this past year and I can’t wait to see what our Lord has in store for the future,” he said. Rev. Craig Michaelson (’94) of Faith Community Lutheran Church in Las Vegas, Nev., was driving his wife home from the Las Vegas airport in October 2017 when suddenly, police cars and ambulances started flying by, their lights flashing and sirens blaring. “We knew something major had happened,” Michaelson remembered. As soon as they got home, they turned on their TV to find out. What had happened was the largest mass shooting in recent U.S. history. A lone gunman opened fire on a country music concert from the 32nd floor of the Mandalay Bay Hotel, killing 58 people and injuring nearly 500. Michaelson was immediately concerned that families in the church, preschool and the academy had been affected. He coordinated efforts with administrators, teachers and church staff. His fears were confirmed. A father of children in the preschool and academy had been severely injured. Many other children in the academy had lost loved ones, such as aunts and uncles. Within the congregation there also were several people who had been injured. Michaelson knew he had to help those in his congregation but he also reached out to the larger Las Vegas community, sitting with families and others in the hospital waiting room. The church and school coordinated donations on behalf of an area hospital. The effort collected clothing, shoes and phone chargers. The congregation leaned on their previously-established resources, namely their Grief Share Ministry, and was blessed by the Lutheran Church Charities K-9 Comfort Dogs and their handlers as they ministered at the academy, preschool and church. “I’m going to a place everyone else is leaving.” That’s why Rev. Anthony DiLiberto (’18) said he is both nervous and excited as he prepares for his call to the mission field in Puerto Rico, a U.S. territory ravaged by Hurricane Maria in September 2017. The devastation from that storm led to a widespread humanitarian, economic and political crisis. Many have chosen to leave the island for the U.S. mainland. 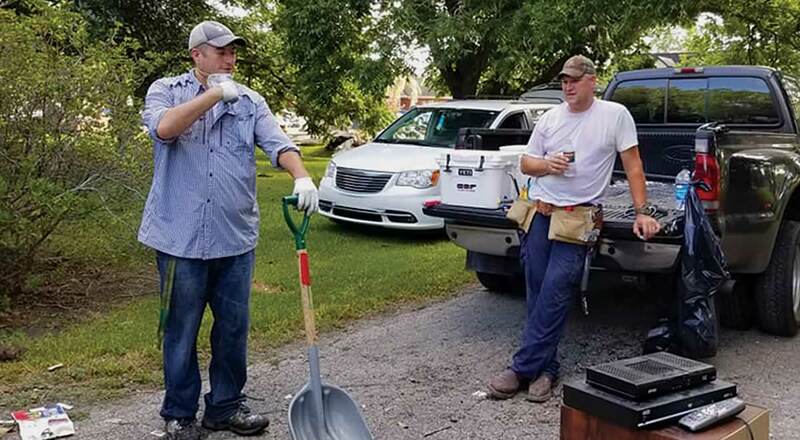 DiLiberto said helping with the relief efforts being coordinated by The Lutheran Church—Missouri Synod (LCMS) will be a challenge, but one that he will turn over to God. “We’re nervous about moving to an island that was recently devastated by a hurricane, but we’re also excited to see how God uses the situation to bring people into His Kingdom,” he said. “It’s certainly not the way we would do things, but God in His wisdom uses even the most devastating situations to accomplish His purposes on earth. After all, it was through the suffering of His beloved Son on a cross that He accomplished the salvation of the world. DiLiberto entered Concordia Seminary with the intention of heading back into the mission field. 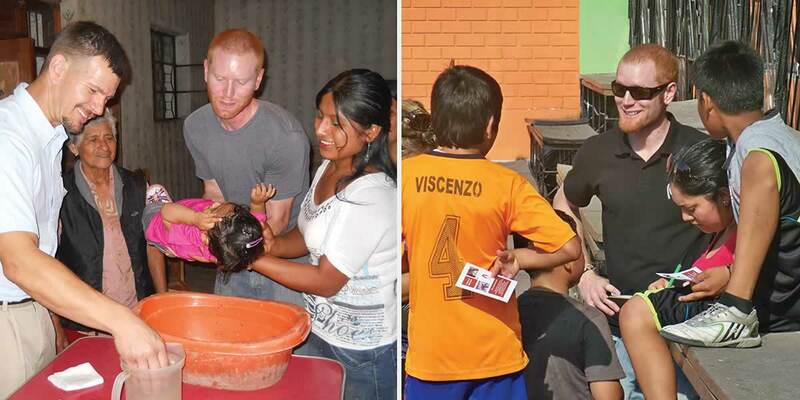 He spent five years in Peru coordinating relief efforts after an earthquake in 2007 and starting a community center for at-risk children and youth in Lima. He said it was a fruitful mission with a growing group of believers, but he wanted to do more. He felt the tug to be a pastor. “I wanted to baptize and administer Holy Communion and to show the mercy of Christ in those unique and powerful ways,” DiLiberto said. DiLiberto, his wife and their three children initially will move to Mayagüez on the western side of the island and will help with LCMS relief efforts. The LCMS currently has two mercy centers that distribute food and items for families, provide roofing and home repairs, and offer English-as-a-Second-Language and music classes. He said the congregation in Mayagüez is established, but since Hurricane Maria, many of the core members have moved away, so strengthening that congregation will be one of his first goals. The DiLiberto family is now making final preparations before they leave the country for training in the Dominican Republic before heading to Puerto Rico. DiLiberto points to the theology of cross as taught to him in Lutheran Confessions class as a central starting point in dealing with suffering. He will aim to remind those around him of Christ crucified and risen for their forgiveness — He suffered alongside His people on the cross. As a missionary, it can be tempting to want to solve every issue, DiLiberto said, but he plans to draw on his Seminary education. Kendra Whittle is a former communications specialist at Concordia Seminary, St. Louis.